Paul was also in good form with his Colour Prints winning the competition with 55 marks. Kirsty McLeod was 2nd with 52 marks and Larry Walker 3rd with 49 marks. Paul’s ‘Cwyfan Church’ in the Colour Prints and Rodney Tordoff”s ‘Moving In’ in the Monochrome Prints also received 20 marks. Larry having a print which had achieved 20 marks, in a previous round, was the overall winner on the count back rule. Both he and Kirsty McLeod had 156 marks. Paul was 3rd with 152 marks. The other winner on the evening was Rodney Tordoff who won the Monochrome Print competition with 54 marks. Kirsty was 2nd with 52 marks and Larry 3rd with 47 marks. Kirsty was the overall winner with 157 marks, Rodney was 2nd with 156 marks and Larry 3rd with 151 marks. 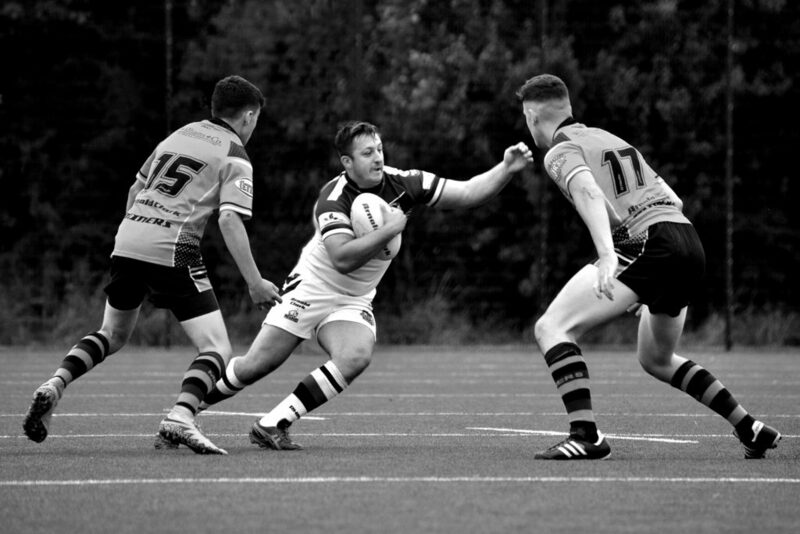 Rodney who is particularly keen on sports photography had a rugby shot titled ‘Moving In’ as a monochrome print. The Print competitions were judged by Stephanie Cook from South Milford. meet in the leisure centre car park, ready to set off at 7.30 pm. We are very proud of our members Claire Marshall and Junior member Thomas Schofield who both collected silverware at the YPU Assembly. Claire won the monochrome cup for her print "Lancaster Bomber, Night Mission" and Thomas won the plate for Digital Young Photographer for his picture of Graham Smith's granddaughter called "Blonde". Sadly, due to exam revision, Thomas couldn't be there to pick up his award so some random woman went and got it for him! The Britannia at Swinnow Road was the venue for Pudsey Camera Club's Annual Awards for the 1917/18 season. Larry Walker took five awards and Kirsty McLeod four. A great evening to end the season last night, with a re-visit from Oliver Wright showing work from his last year- many thanks again, Oliver... everybody enjoyed it very much and I'm sure we'll see you again! Tonight's Meeting for the 8th of March has been ** CANCELLED ** Due to the weather. Tonights Meeting for the 1st of March has been ** CANCELED ** Due to the weather. An entertaining evening last night with Judge Grahame Gage and the annual "Harry Pitts" print completion - four prints from each author in four different categories. Grahame awarded three 20's on the night, to Claire Marshall, for her Corn Exchange fisheye shot, to Paul Murphy for his "Reflections of Yesteryear" and to Kirsty McLeod for her "Successful Fisherman". The overall winner on the night was Kirsty, with 75 points. Second was Claire Marshall with 72 points and third Paul Murphy with 71 points. Well done everybody - there were some excellent prints from all authors. Don't miss Illuminate Bradford, three days of magical nocturnal shows in Bradford City Park and city centre (Fri 13-Sun 15 Oct, 7pm-9.15pm). See cutting edge 3D graphics company, The Colour Project's Luminarium, a gigantic animated light show beamed onto Bradford’s magnificent City Hall (13-15 Oct, 7:30pm & 9pm). Award-winning British arts companies, Nutkhut and Dream Engine return with Zamana featuring stunning aerial acrobatics and dynamic dance (13 & 14 Oct, 8.15pm). Marvel at Illuminares, sixteen beautiful and quirky giant lantern sculptures by master puppet makers, Handmade Parade and Cecil Green Arts (15 Oct, 8.15-9.15pm). Illuminate has lots of brilliant interactive art installations, a great funfair and a variety of food and drink stalls. Pudsey Camera Club's three-round projected digital images got underway, members submitting three images. Larry Walker took the honors with 54 marks. 'Portrait of Daisy' being one of Larry's winning images. Rodney Tordoff was 2nd with 51 marks and Kirsty McLeod 3rd with 50 marks. Some info on the Leeds Light Night. Great news! Magical three day mini festival to hit City Park, 13-15 October. Illuminate Bradford will be packed with amazing performances, interactive installations and colourful street theatre. Don’t miss The Luminarium, a gigantic 3D animated light show beamed onto Bradford’s magnificent City Hall. See Zamana, a breath-taking new show by award-winning British arts companies, Nutkhut and The Dream Engine, featuring stunning aerial acrobatics and dynamic dance. Marvel at sixteen beautiful and quirky giant Illuminares lantern sculptures by master puppet makers, Handmade Parade and Cecil Green Art. Also superb interactive art installations, funfairs and food and drink stalls. FREE. Zamana has been created by Nutkhut for the Mela Partnership and funded by Arts Council England. Summer outing to the Coast, Meet at the leisure center carpark at 9am, travel arrangements to be made on the day. The exhibition is well worth a visit... some cracking images! Congratulations to Jill, winner of the Over18's category. Here is Jill Setterington (centre) -winner of the 18 and over category Pudsey Camera Club's open competition 'Every Picture Tells a Story' with her image Marcella Caputa. She was presented with her prizes at Pudsey Community Hub where all the entries are being exhibited. With many thanks to our sponsor, The Black Mouse Cheese and Wine Emporium.... congratulations to all the winners! Please enter our Open Competition for non-members. Here's the results from the competition held on 27th January at Carleton. Congratulations to Doncaster & Pudsey who are to represent the YPU in prints at (possibly) Blackburn and Cookridge and Doncaster who are to represent us at PDIs in Warwick. PAGB competition entry details will be sent out as we receive them. This was the second time we've run the selection competition in this format after the positive response last year. It would be good to have more clubs entering to give us a wider range from which to choose. Dave, can you put the results etc on the website. Tonight: YPU prints and mince pies! Luggard has overcome so much since we rescued him in March 2016, after his femur was shattered by a bullet and a second bullet penetrated his left foot. Thanks to our intensive veterinary care and his warrior’s spirit, he’s made good progress but he’s not out of the woods yet and his leg has yet to fully recover. Despite this, Luggard is hugely energetic – he loves mud baths and wallows at length like a hippo unaided! We staged the 2nd round of the projected digital image competition, in which members submitted three images. The judge Frank Lodge CPAGB from Batley, who had a preference for portraits, gave Larry Walker a maximum of 60 marks for his three images, which were all portraits. Craig Wilkinson was 2nd with 57 marks and Rodney Tordoff 3rd with 55 marks. 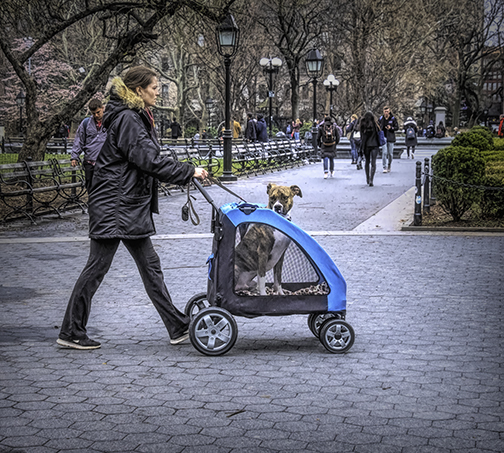 ‘Milky Way at Blackrock’ from Kirsty McLeod was given a maximum of 20 marks by the judge. This excellent round by Larry moved him into the overall lead with 111 marks. Just to remind everyone that we are back at Pudsey Library from this Thursday. We will be welcoming back Dr Sanjay Gupta who will be showing us his images of Rajasthan. Sanjay's talk last year was fantastic and we are looking forward to seeing him again. Guests or anyone wanting to see what we're about are very welcome, it's £1 on the door! Big news is.... from next week (3rd November) we are back at Pudsey Library for our regular Thursday evening slot.... please pass on the news! This is the Link to Send Your 3 Round Competition Entries to Via WeTransfer.